The historic Digneo room reflects the original structure of The Four Kachinas. 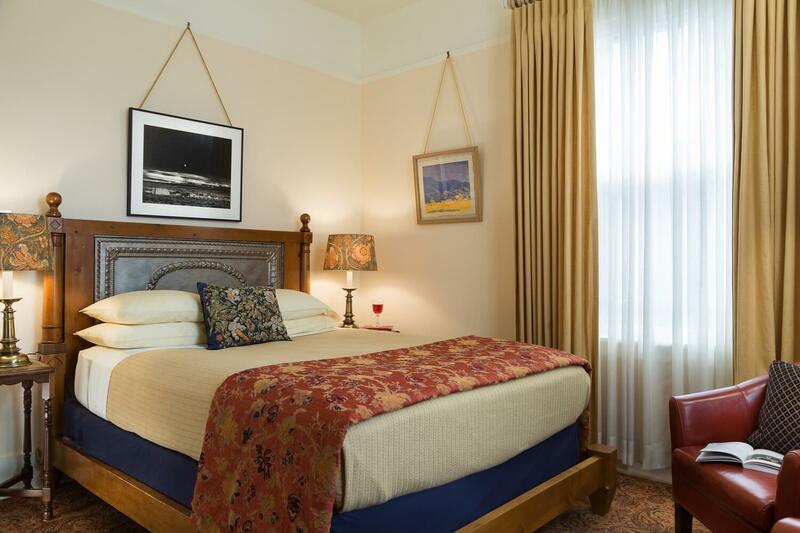 The room features high ceilings, abundant natural light, a queen bed, two club chairs, and is furnished with early 20th-century reproduction furniture consistent with the age of the house. 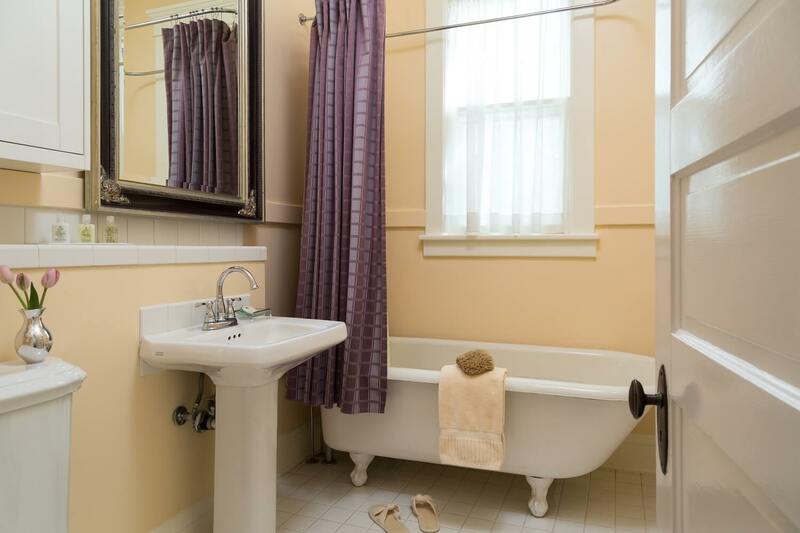 The large claw-foot bathtub (with shower) is perfect for a leisurely soak after a day of taking in the Santa Fe sites. Entrance to the room is through the front door of the Digneo House. 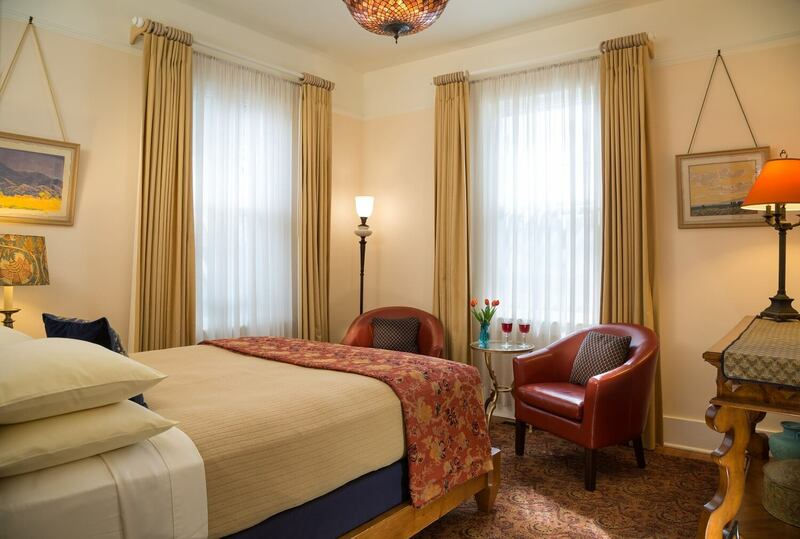 The Digneo room is a comfortable and quiet hideaway located in the Historic Digneo House on the grounds of the inn. The house was built in 1910 by the Digneo family, Italian stone masons who also worked on the historic Saint Francis Cathedral. Guests staying in either the Digneo or Baumann rooms have use of a separate sitting room adjoining each of these rooms. 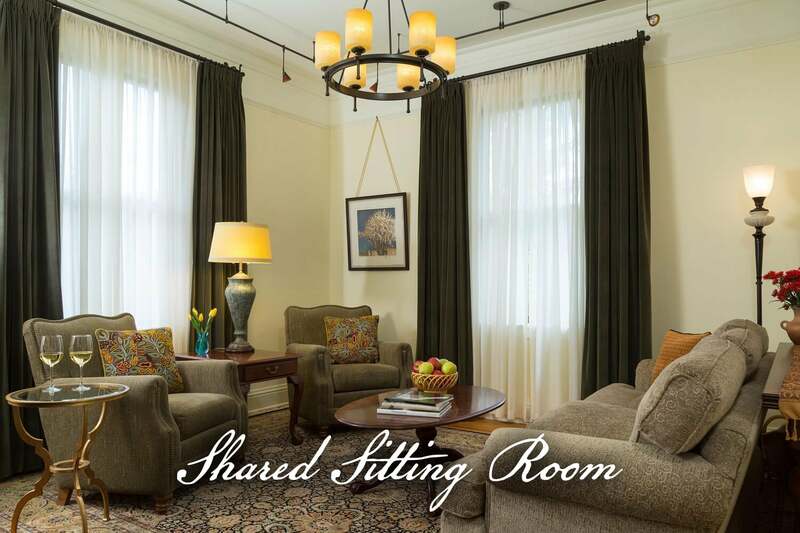 This arrangement is ideal for two couples or a family traveling together.